The global radiation oncology market size is expected to reach USD 10.1 billion by 2025, according to a new report by Grand View Research, Inc. It is projected to witness a CAGR of 6.5% over the forecast period. Rising prevalence of cancer is the primary factor responsible for substantial growth of the market for radiation oncology. Technological advancements resulted in increased adoption of radiation oncology as primary cancer treatment. Development of compact advanced radiotherapy options such as CyberKnife, Gamma Knife, and tomotherapy are expected to complement this growth. These advanced methods pose lesser postoperative complications and faster recovery time. 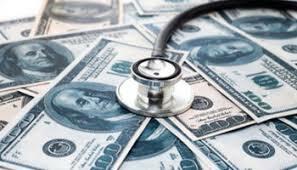 Increasing per capita healthcare expenditure is also an important macroeconomic factor driving market growth. In addition, with the aid of supportive government initiatives and awareness, patients are not hesitant to opt for advanced treatment options. For instance, per capita health expenditure witnessed exponential growth of more than 55.0% from 1995 to 2014, as stated by the World Bank Group. In 2016, external beam radiation therapy (EBRT) including compact advanced radiation therapy, proton therapy, and linear accelerator (LINAC), held a lucrative share by product. Brachytherapy is likely to gain maximum share over the coming years owing to extensive usage for the treatment of prostate and breast cancer. EBRT applications for treatment of prostate, breast, lung, colorectal, and head and neck cancer dominated the market in 2016 by way of application. Image-guided radiation therapy (IGRT) contributed to around 13.0% share in 2016 on the basis of technology. In this method, overall objective is to minimize the exposure to the healthy surrounding tissue. 3D-CRT technology is anticipated to witness a lucrative CAGR over the forecast period. North America held maximum share in global radiation oncology market in 2016. Developed health infrastructure, presence of many multinational players, and high per capita health infrastructure are the key regional growth drivers. Varian Medical Systems; Elekta AB; Accuray Incorporated; Ion Beam Applications SA; C.R. Bard, Inc.; IsoRay, Inc.; Mevion Medical Systems, Nordion (Canada) Inc.; NTP; and Mallinckrodt Public Limited Company are some of the key market players. Radiation oncology market worth $10.1 billion by 2025. Appl Rad Oncol.